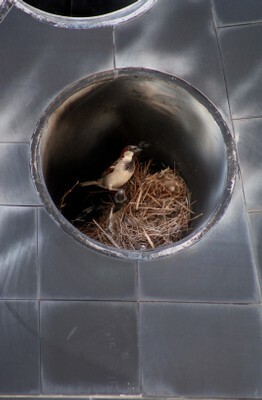 I’ve been watching a sparrow build a nest in a tiny tube that’s built around the electric wire in front of my house. 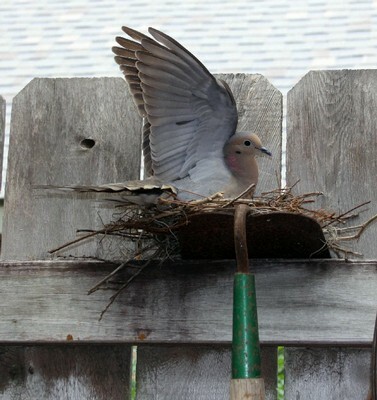 The tube isn’t even solid, there’s a large open bit right under where she’s making her nest. I’ve been watching the straw and paper bits float to the ground below. Harrowing business. 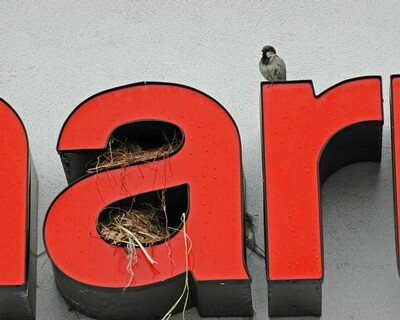 I’ve recently come across a website dedicated to urban birds that’s out of Cornell University. It’s a great informational site and they even have ways where you can join in on their field studies. 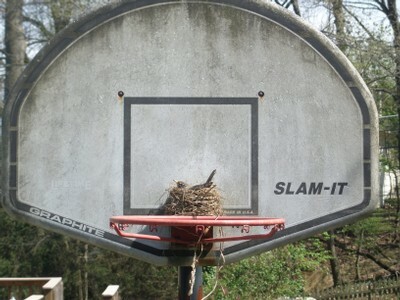 Recently they had a photo competition for pictures of nests built in odd places. Here are some of my favorites, but you can see the rest here. 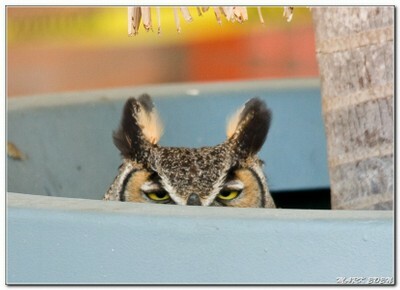 The Great Horned Owl was nesting in a potted palm tree! I love the colors on this picture. Oh, my gosh, such ingenuity! Also, yay for the Big Red! The Ornithology Lab is pretty amazing and unique AND, in case you’re not familiar, the artist Charley Harper created an incredible poster for the program, entitled We Think the World of Birds. Yes, I love Charley Harper, absolutely! That poster is so beautiful and for such a wonderful program. 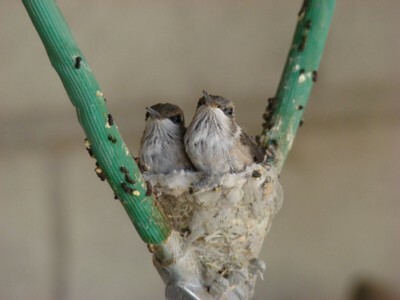 There’s over 400 photos to look at on that site that focus on nest locations. Some are pretty unbelievable! Robins seem to be the most bold. Thanks for the link!